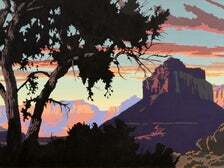 The Autry Presents "New Acquisitions Featuring the Kaufman Collection"
Now on view at the Autry Museum of the American West through July 9, 2017, New Acquisitions Featuring the Kaufman Collection presents nearly 60 paintings, sculptures and works on paper. 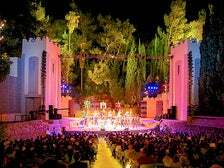 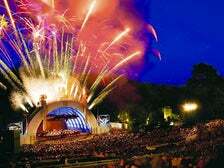 There are few experiences more quintessentially Los Angeles than spending a summer evening under the stars while catching a concert at the Hollywood Bowl. 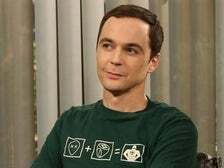 Jim Parsons will be honored with the 2,545th star on the Hollywood Walk of Fame on Wednesday, March 11, 2015 at 11:30 a.m. PST with a live-stream exclusively on www.walkoffame.com. 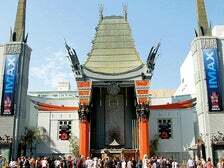 The landmark TCL Chinese Theatre welcomes millions of visitors every year to experience the world's largest IMAX theatre and the famous Forecourt of the Stars. 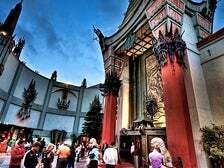 No doubt about it, Los Angeles is the Entertainment Capital of the World and you can delve right into it by exploring Hollywood on foot. 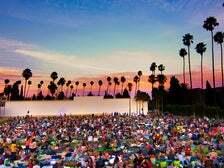 The beauty of the region is that, while Hollywood covers a lot of ground geographically, many of its primary attractions are near each other. 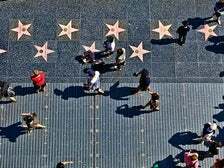 Plus the Metro Rail Red Line runs under much of the area, meaning that seeing stars doesn’t necessarily require driving cars.